Central Square Foundation has funded over 30 organizations working on innovative theories of change in K-12 education. 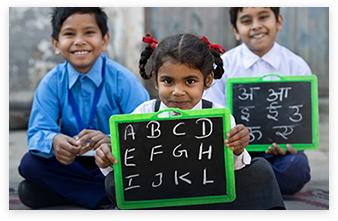 We are actively seeking to expand our portfolio by supporting distinctive nonprofits aspiring to lead the next wave of education reform in India. To this end, we run EduStart – an accelerator for nonprofits in education, offering access to early-stage capital as well as strategic support. To ensure that all children achieve foundational literacy and numeracy by primary school (K-5), we hope to support organizations with effective tools and programs to drive ECE and FLN in high-need classrooms. 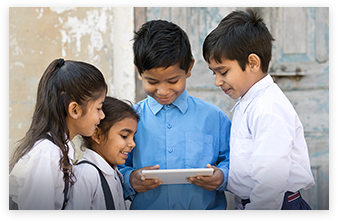 We look at technology-based solutions, including solutions for both primary and upper primary levels, such as personalized learning models, digital classrooms or technology-based teacher-facing models. To ensure effective delivery of solutions at the state level, we aim to support organizations that can strengthen implementation capabilities of state systems. This could include strengthening state-level agencies and departments, building capacity of officials, or streamlining key processes from textbook delivery to accountability. Some other areas of interest for us include School-to-Work Transition and services for affordable private schools. However, we do not limit ourselves to the above mentioned areas of focus. 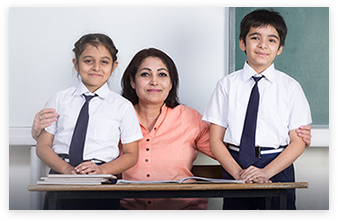 We are also open to other innovative models in education driving improvement in learning outcomes, as long as they qualify as per the criteria laid down for our grantee organizations. We fund organisations in their early stage of developing effective solutions to dramatically improve student learning. We aim to support organisations where our limited investment will have valuable impact on the organisations’ capacity to deliver effectively and will set them up for success. Thus, at the time of investment, our grantees typically range from just the idea stage to upto 3 years old with focus on building their organisational capacity. We realise that in the early stages of an organisation, the idea and programmes go through several iterations. Therefore, we focus disproportionately on the the strength and capability of the team to navigate ambiguity and build a successful organisation. We look for people who have clarity of vision, are mission-driven and passionate, bring the right technical and organisation building skills, and have a strong learning mindset. We look for strong evidence of impact in terms of student learning (or other relevant outcomes) in our grantees’ theory of change. We evaluate the different models based on the global research evidence as well as monitoring and evaluation data from the specific organisation’s programme (if available). We are seeking organisations that bring new, distinctive ideas or approaches to improve the quality of learning. These could be completely new innovations or fundamentally new areas of work, or these could even be improved ways of delivering existing solutions through innovative approaches and tweaks. 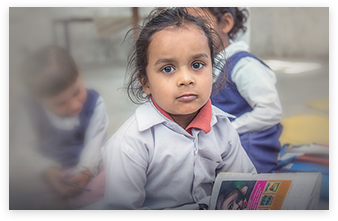 To reach our goal of catalysing an excellent education for every child in India, we look for models which can be scaled to millions across the country. To this end, we partner with organisations aspiring to expand their impact significantly by growing themselves and by collaborating with others stakeholders. This involves building scalable, replicable systems and processes and knowledge sharing with the ecosystem. Technology backed solutions have the capacity to scale very rapidly in a sustainable way. We don’t only fund tech-based solutions but we are actively looking to support organisations that leverage the power of technology to streamline their systems and processes enabling fast growth and efficient execution. We aim for our grantee organisations to become financially sustainable as they scale. We partner with organisations with a plan and capability for achieving sustainability through funds from other philanthropies, CSR or other donors, by leveraging public funding or by generating revenue from clients. At CSF, we invest deeply in our grantee partners to build strong, mission-driven organizations creating real impact in the ecosystem. We aim to forge long-term partnerships, with comprehensive, customized support for each stage to help our grantees achieve their goals. Effective solution with respect to impact and adoptation by the end user. Through our vast networks, we provide access to relevant experts and mentors, potential partner and service-provider organisations, the government and in select cases, fundraising opportunities to our grantee organisations. We strive to make a responsible exit from grantee organisations. From inception, we work with organisations to establish clear benchmarks that incrementally reduce their dependence on our support and help them identify resources to grow independently beyond our direct involvement. We want to work with people who are passionate, committed to the education sector and want to push the boundaries of what’s possible. It doesn’t matter if you are already running an organisation or just have an idea in your mind. If you believe strongly that every child deserves and can achieve excellent education, we would like to support your venture. If you are an entrepreneur with just an initial idea (as long as you are willing to take the plunge full- time). If you are an organization which has already hit the ground running (even if you are a one-woman army running a few pilots and are yet to register). We accept applications throughout the year, but also watch out for targeted cohorts that we run from time to time. Initial shortlisting happens through a rigorous selection process within two weeks of application. Applicants might receive a call by our team for queries. Proposals are evaluated by relevant teams at CSF within three weeks after the submission. Our team might ask for a visit to learn more about your organisation. Organisations with selected proposals are asked to work with relevant teams at CSF for 2-3 weeks to prepare a pitch. Final pitches presented to the CSF’s Investment Committee. Total process is completed within 3 months of the application. We follow the timelines mentioned in our application process. In case you don’t hear back from us within those timelines, you could write to us to check the status of your application. In case you have any queries and are not able to find the answer on our website, or would like to partner with us, please write to us. We are available at edustart@centralsquarefoundation.org. Please expect that it may take up to one week to revert to queries.